Comprehensive Edits include an Editorial Memo, Margin Comments, and a Line Edit. To see what margin comments and a line edit look like, click on the example below. 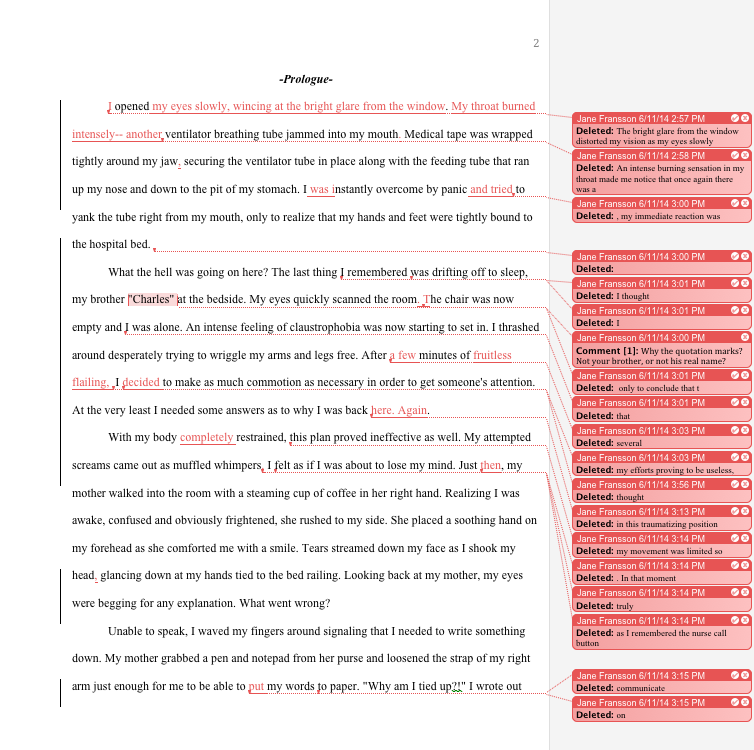 Trial Edits include a line edit.